The mission of Sante is to deliver top quality foods and to promote knowledge on healthy eating and lifestyle. 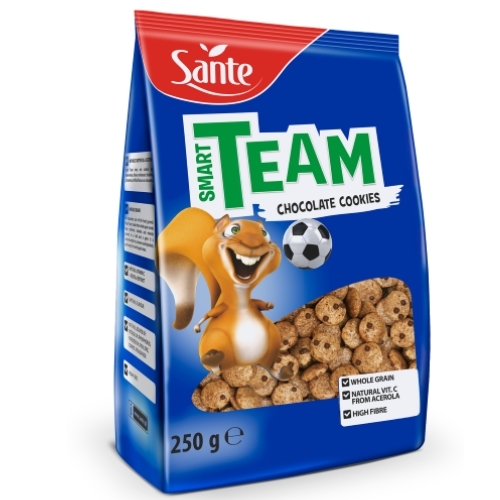 Sante experts on diet, food technology and eating implement their projects based on the latest scientific research and up-to-date eating tendencies. This is how we make our products with the green or yellow leaf on the label, which means that they are “100% free of artificial additives”. 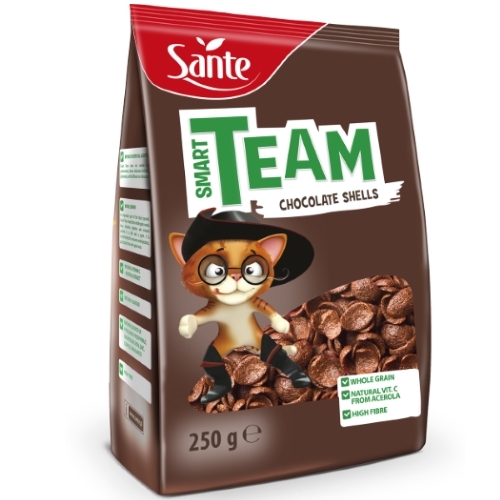 Eating Sante’s products, you can be sure that you are feeding your body only with the best and most carefully selected ingredients, with the Company’s guarantee of quality. The products with a green of yellow leaf contain only natural ingredients, with no preservatives or flavour enhancers (including glutamates), artificial aromas or flavourings, emulsifiers or raising agents. The costs of production of such products are much higher, as natural flavourings are five times more expensive than nature-identical flavourings. The only replacement for artificial preservatives are expensive natural ingredients. Yet, by using them, we increase the quality of our products whilst maintaining still affordable prices. 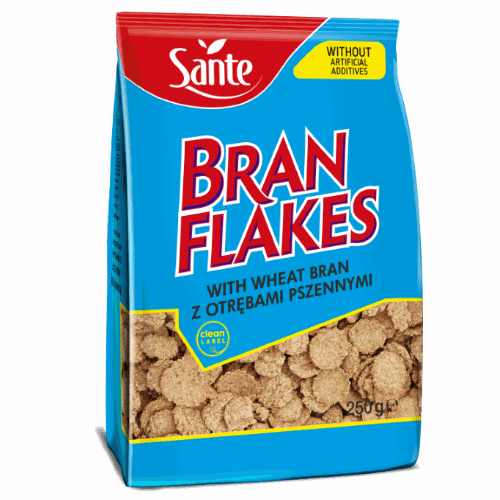 Our breakfast products, including flakes, bran and muesli, are widely recognised and valued by our consumers. 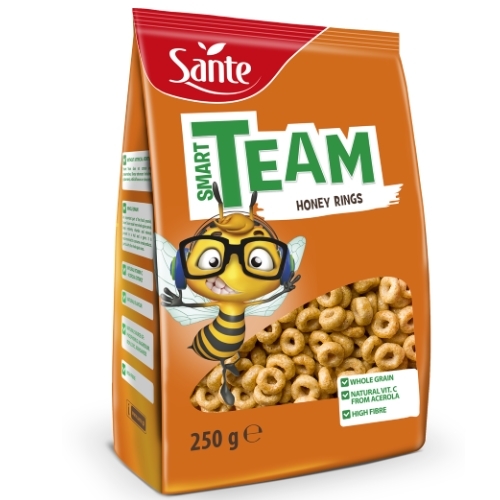 Sante has been successful in expanding its breakfast category with tasty, healthy and nutritious products “100% free of artificial additives”. 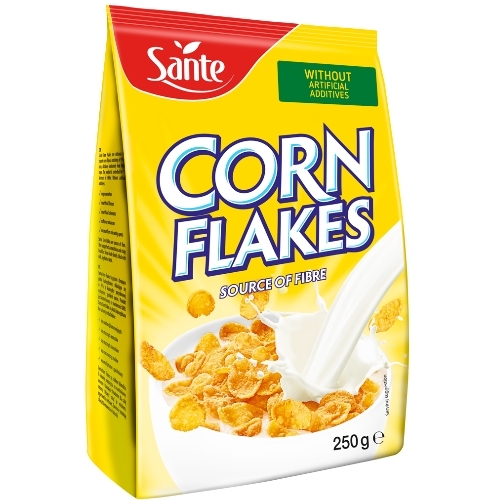 We already offer a great family product, Corn Flakes, with more than 90% corn, as well as wholegrain products, such as Bran Flakes, breakfast flakes for children, Smart Team, and innovative flakes for active women, Fit. All products are rich in dietary fibre, which is particularly important for a well-balanced diet. Our hit product is premium oat bran, rich in fibre. It is pure bran, thoroughly separated from flour, produced as a primary product and not as a by-product of oatmeal manufacture. With a dedicated technology, we manage to obtain a 19% content of fibre and more than 6% of beta-glucans, which reduce blood cholesterol. This health effect can be obtained by eating ca. 3g of the product daily. High blood cholesterol is a risk driver for coronary heart disease. With balanced eating and a healthy lifestyle, you help your body function properly. The risk factors for the disease are numerous, and changing one of these factors may, or may not, have a beneficial effect. Sante uses primarily natural ingredients to produce its foods. We consciously abandon taste, smell or texture-improving agents or additives that are commonly used to extend product shelf lives. 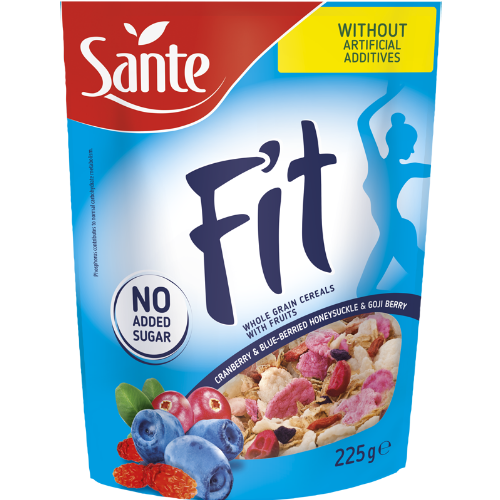 Behind the uniqueness of Sante’s foods stands a cutting-edge manufacturing technology, which does not strip them of nutrients or taste. 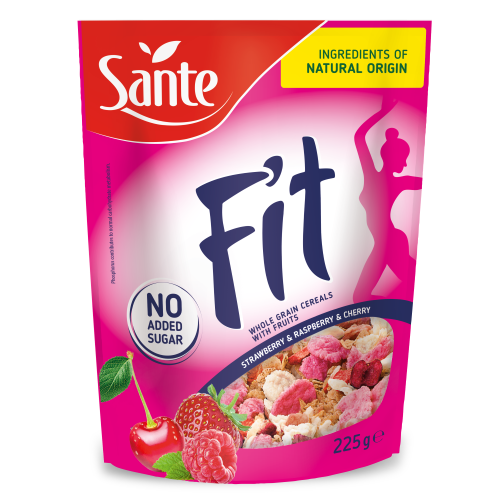 This is why when you reach for Sante’s products, you can enjoy the true taste of grains, fruit and vegetables. 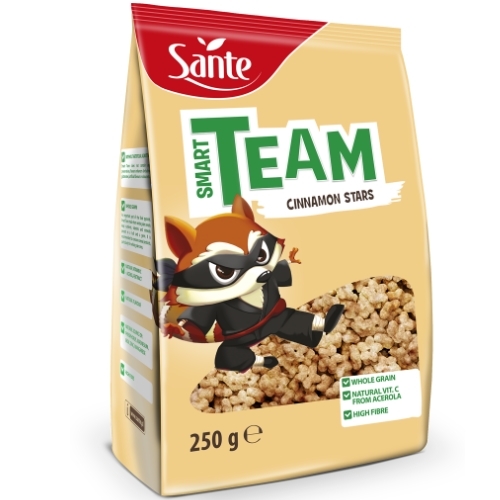 Sante makes every effort to produce the least processed foods possible, i.e. as close as possible to their natural form. Such foods provide the optimum form and amounts of fibre, vitamins and minerals. 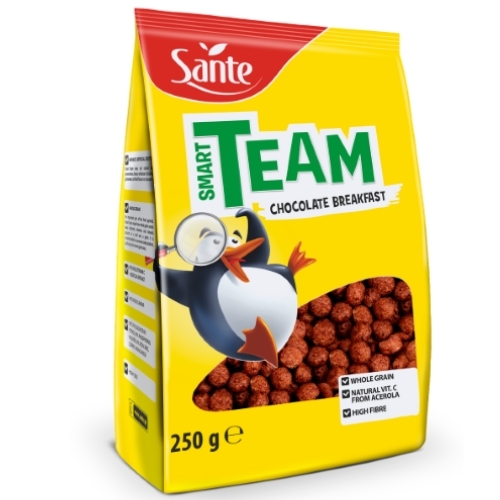 With breakfast products by Sante, you will compose a perfectly nourishing and valuable breakfast for you and your children. This is an ideal option for those who want to have a tasty, diversified and well-balanced diet. 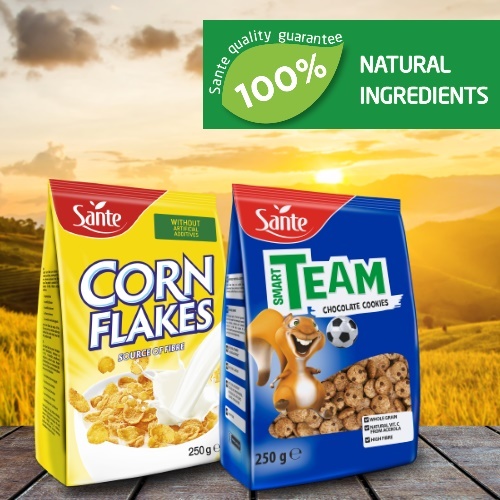 Search for Sante’s products with a green and yellow leaf on the label, which means that they are “100% free of artificial additives”!